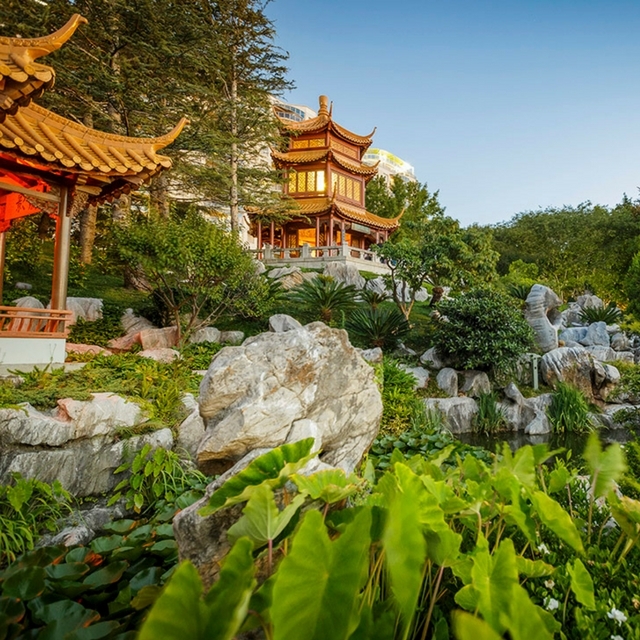 Feel the sun on your face in your own secret garden in Darling Harbour’s Chinese Garden of Friendship. Experience more of the garden’s secrets and unique highlights with one of our guided tours, Garden Highlights Tour or Seasonal Features Tour. Or, if you prefer to explore on your own, collect a self-guided map from the front desk. Pathways and pavilions in the lower garden are accessible for wheelchairs and prams; however steps and rocky pathways make the upper part of the garden difficult to access. The closest passenger drop-off point to the garden is on Harbour Street. The Chinese Garden has a fully upgraded accessible toilet and baby change facilities on site.